Culture Minister Dr Frank Anthony says a permanent editorial board is in the works for the Caribbean Press and he disclosed that between 2009 and 2012, $56.6M was spent by the local publishing house. Anthony provided these answers and others in writing at yesterday’s sitting of Parliament in response to questions tendered by AFC MP Trevor Williams. Answering a question about staffing, Anthony revealed that an allowance will be made in the press’s future budget for monies for a permanent editorial board which will comprise “professional writers from different Caribbean countries”. 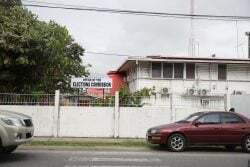 Caribbean Press – which was conceived of at the 2008 Carifesta in Guyana – has been at the centre of months of controversy over its management and how decisions are made on which titles are to be published. 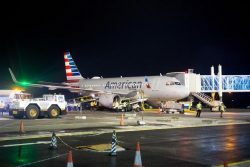 The questions have come mainly from local writer Ruel Johnson and several other persons who have questioned the validity of pronouncements by the Head of the Caribbean Press, Dr David Dabydeen. 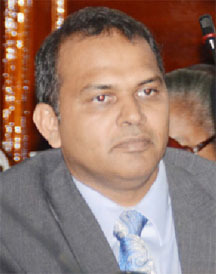 On the question of whether there was an establishing document for the Preyss, Anthony said that there was and that this had been considered on April 15, 2009 by Cabinet and approved. He said however that a request for a “declassified” copy should be channelled by Williams to the Cabinet Office. b. Twenty-Five Caribbean Poems for Children. c. Anthology of Caribbean Stories for Children. d. Six Anthologies of Contemporary Poetry by Guyanese Children (to be edited by Rev. Gideon Cecil). f. Three collections of the essays of Janet Jagan. h. Four additional volumes of the National Assembly Speeches of Forbes Burnham. i. Paloma Mohammed’s children’s short story, Marlee the Manatee. j. Two anthologies of Guyanese plays, (ed. A1 Creighton). Explaining the staffing of Caribbean Press, Anthony said that the General Editor, Dr Dabydeen had volunteered his services from 2009 to the present along with a pool of persons. He asserted that the Press “has certainly grown in the last few years”. The Minister also disclosed that the ministry will cater in its future budget financing for an administrator/secretary. “This person will oversee the commissioning and publication of titles; liaise with writers, printers and Editorial Board, and the government. 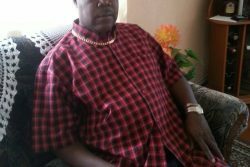 Be responsible for book distribution, be responsible for the publicity of the press, identify and organize the visits of writers to Guyana to conduct workshops and readings, manage the Press Website among other duties”, he said. The minister also identified some of those who had served as part of the voluntary editorial advisory group. “We have benefited from the advice and contributions of a number of scholars such as Sister Noel Menezes, Dr Janette Bulkan, Ameena Gafoor, Professor Trevor Bumard, Professor James Walvin, Professor Clem Seecharan, Dr. Chris Campbell, Dr. Letizia Gramaglia, Dr. Lynne Macedo, Professor Peter Nazareth, Dr. Mariam Pirbhai, Dr. Dimitar Angelov, Dr. Harold Leusmann, Dr. Brinsley Samaroo, Dr. Amar Wahab, Dr Gemma Robinson, Dr. Lucy Evans, Dr. Anne- Marie Lee Loy, Dr. Mark Tumbridge and Dr. Michael Niblett to name a few”, Anthony said in answer to Williams. Anthony further said that no remuneration was paid to consultants in establishing the Press. The Minister provided a list of the books that were edited, proofed, laid out, designed and printed by Caribbean Press. 1. Joseph Beaumont – The New Slavery. 2. Barrington Brown – Canoe and camp Life. 3. Trevor Bumard – Hearing Slaves Speak. 4. N.E. Cameron – Guianese Poetry, 1831 -1931. 7. Martin Carter – Selected Poetry. 8. Cecil Clementi – The Chinese in British Guiana. 9. Cyril Dabydeen – Short Stories. 15. Wilson Harris – Eye of the Scarecrow. 16. Wilson Harris – Heartland. 17. Roy Heath – The Shadow Bride. 24. Noel Menezes – The Portuguese of Guyana. 25. Noel Menezes – British Policy towards Amerindians in British Guiana. 28. Edgar Mittelholzer – A Morning at the Office. 29. Edgar Mittelholzer – The Life and Death of Sylvia. 30. Edgar Mittelholzer – Shadows Move among them. 31. Elly Niland – Selected Poems. 33. Walter Raleigh – Discoverie of Guiana. 35. Walter E. Roth – Animism and Folklore of the Guiana Indians. 38. Denis Williams – Giglioli in Guyana 1922 -1972. 1. L. F. S Burnham – National Assembly Speeches, Volume 1. 1. Ashley Anthony – The Mysterious Association and the Virtu Gems. 3. A.J.Mc.R.Cameron – The Berbice Uprising 1763. 4. Cedric Castello – Rasta Lyrics. 5. Lynette Dolphin (ed) – One Hundred Folk Songs of Guyana. 12. Alan Zheng (Translator) – Clementi – The Chinese in British Guiana (abridged ed. 13. John Bennett – An Arawak – English Dictionary. 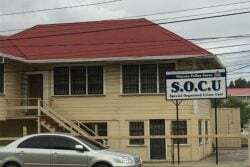 On the question of the specific administrative costs associated with the Press, Anthony listed this as $7,850,000 to hire secretarial assistance for the editors for the period 2009 to 2012. Anthony was also asked about the costs on average associated with the production of a single title. a. The mode average for a single title was estimated at $1,554. c. The mean low was estimated at $700 to 800. He also said that the editorial services cost associated with the Press in 2010 to 2012 was zero and he added that the Ministry of Culture wanted to express its thanks to Professor Dabydeen, Dr. Ian McDonald and Dr. Lynne Macedo for their voluntary editorial work. As asked by Williams, Anthony also provided a breakdown of layout, design, printing and shipping costs year by year. Layout and design cost for 2010 was US$28,800, US$14,400 for 2011 and the same figure for 2012. The printing cost for 2010 was $8,430,000, $9,960,000 for 2011 and $7,100,000 for last year. The shipping cost was $225,000 in 2010, $230,000 in 2011 and $400,000 in 2012. As to an exact breakdown of the publications that were distributed here by title, location and number of copies as of 20th June 2013, Anthony said that the Ministry would be unable to provide this now. “The compilation of this information is ongoing and when completed a copy would be provided to the National Assembly”, he said.